Do you know there are over 1.3 million (and growing) apps on the Google Play Store? 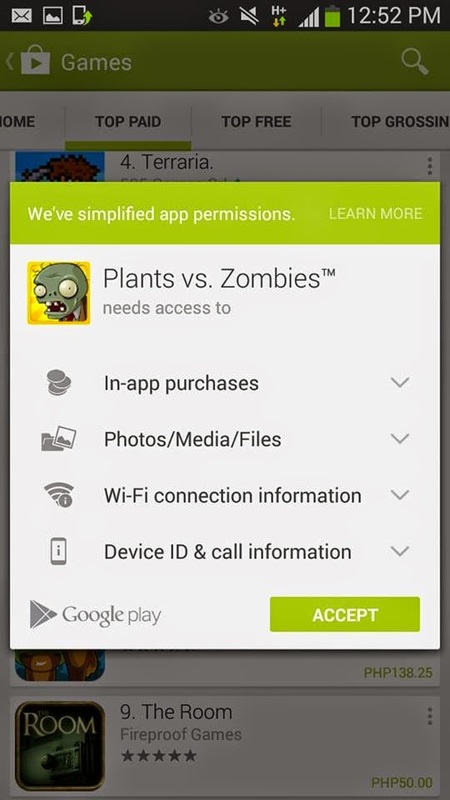 Google Play Store is where Android users download apps and digital content. It is one big source of applications on social networking, music streaming, down to booking a restaurant or securing that elusive parking spot. There is definitely an app for anything you can think of; be it a free app, a paid or premium one, the Google Play Store has everything for every type of mobile phone user. 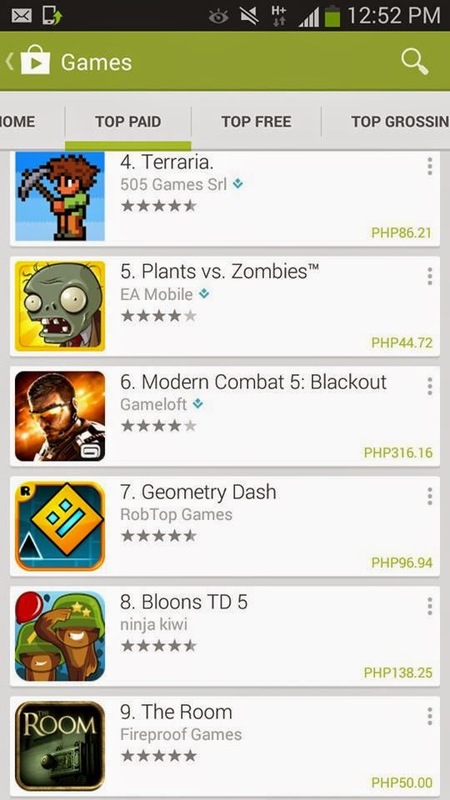 However, for most Filipinos, the downside is we usually have to stick with free apps to use, due to non-ownership of a credit card, one way to pay for premium apps on Google Play Store. Sadly, sources say only 4% of Filipinos own credit cards. 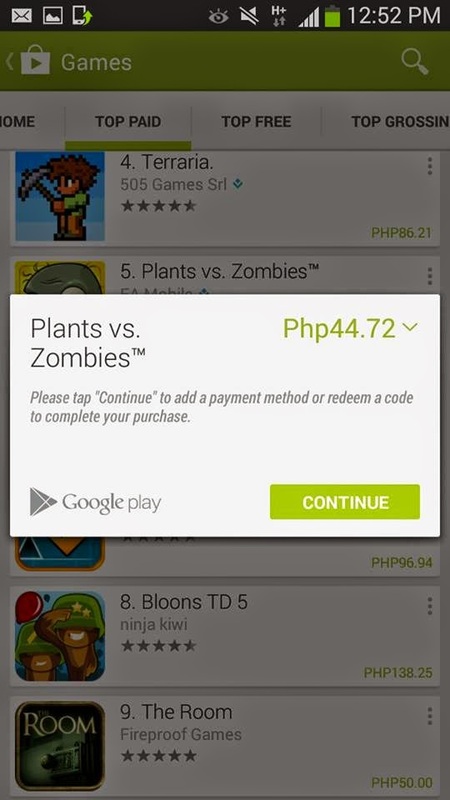 To solve this problem, Globe Telecom makes purchasing on Google Play Store easier and more convenient. 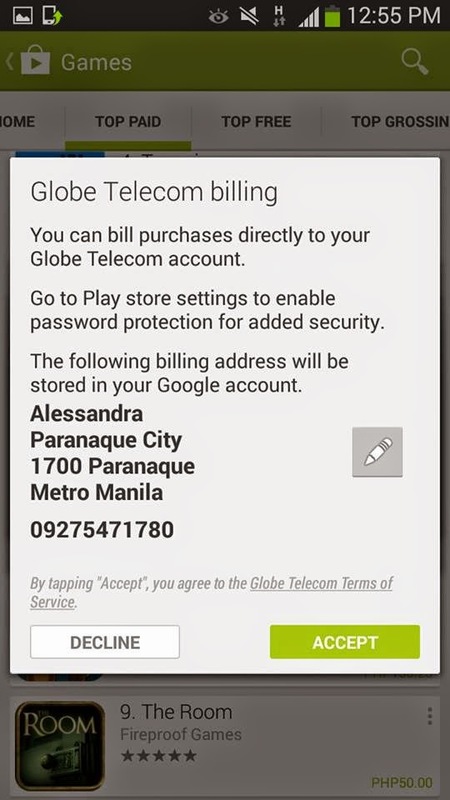 Effective August 20, Globe Postpaid, Prepaid and TM customers may now be able to purchase any app or in-app item on the Google Play Store and charge the cost directly to their load or Postpaid bill! No credit card needed! A mobile data connection or WiFi is needed to complete purchases. 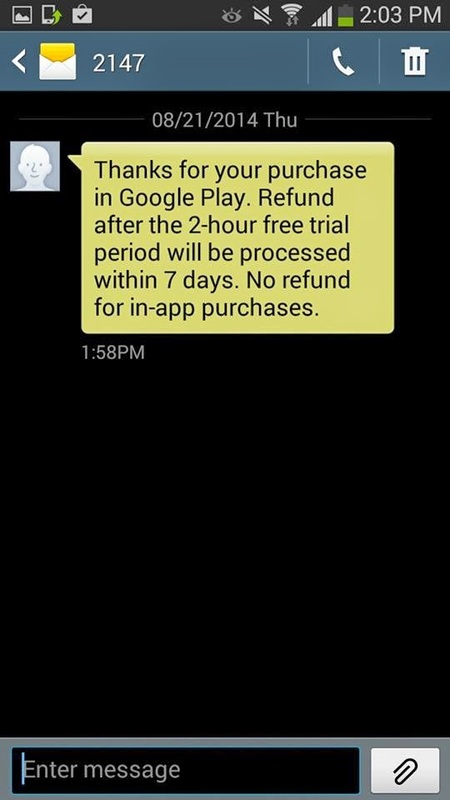 Upon successful purchase, an email notification from Google will be sent to your registered email. 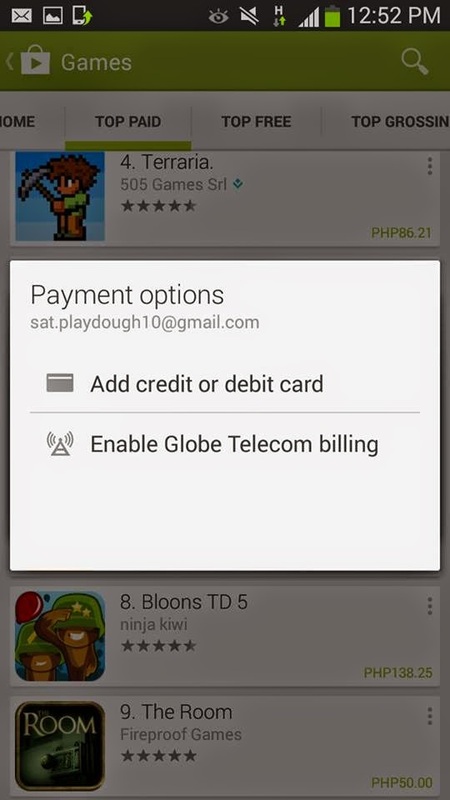 Purchases made via Globe load or postpaid bill are charged in Philippine peso and are subject to 12% additional VAT over and above the display price on the Google Play App Store. 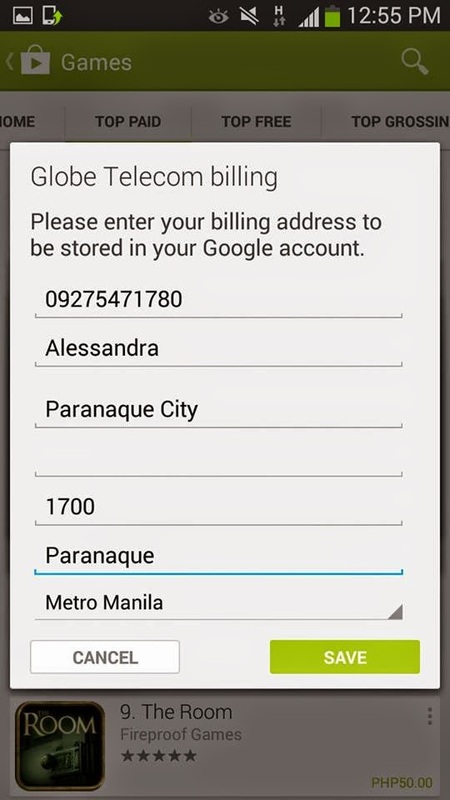 To know more about this latest service visit www.Globe.com.ph, call 730-1010 or visit any Globe store nearest you!